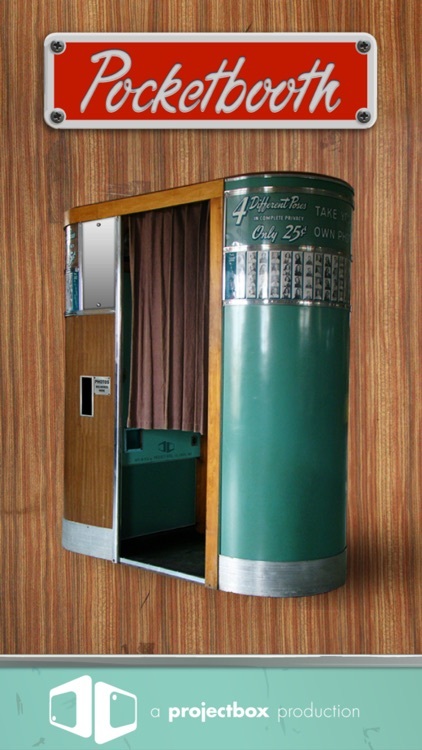 Photo booths have been around for ages. 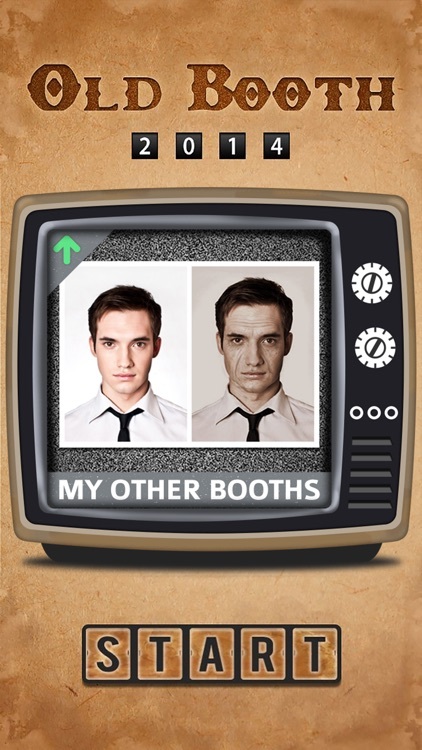 I remember crowding into a booth with a bunch of my friends and trying to make the craziest poses we could think of. Oh, the good old days. 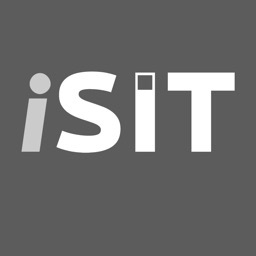 Now we can recreate the fun with our iOS devices. 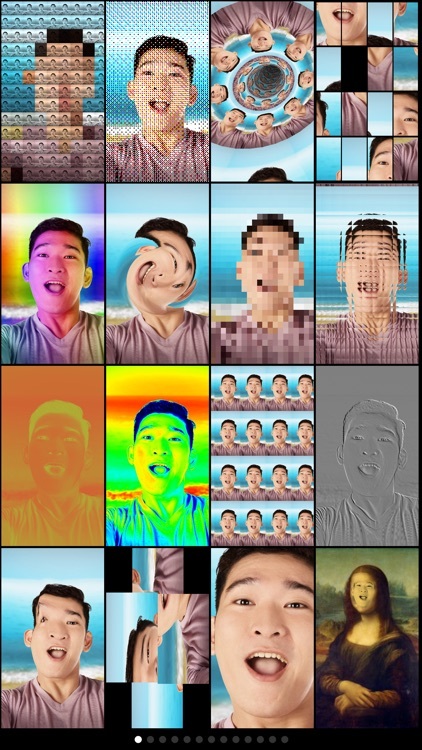 What makes it even better, is that we can now add in some crazy filters to make us all look like zombies or give us the fun house mirror effect. Let the good times roll! 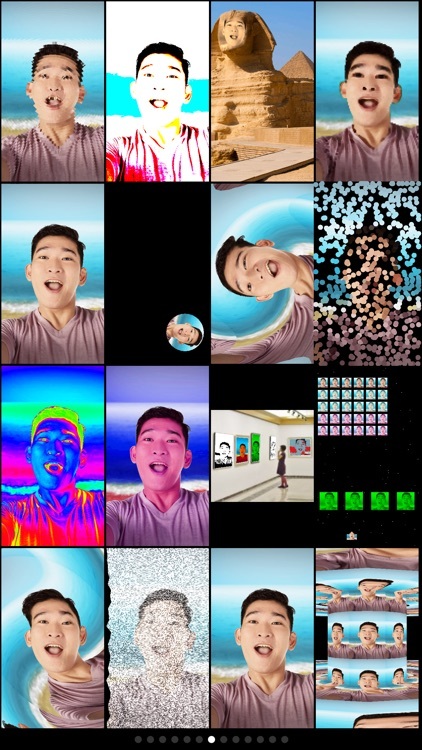 YouCam Fun is the ultimate tool to turn your boring iOS camera into a creative photobooth, with live filters for your photos, real-time video effects and fun backgrounds! Who will you be today? 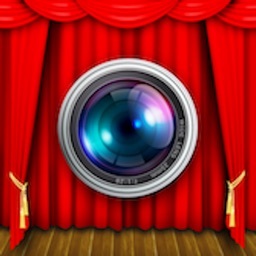 Add fun, silly and spontaneous live effects to your photos and videos. 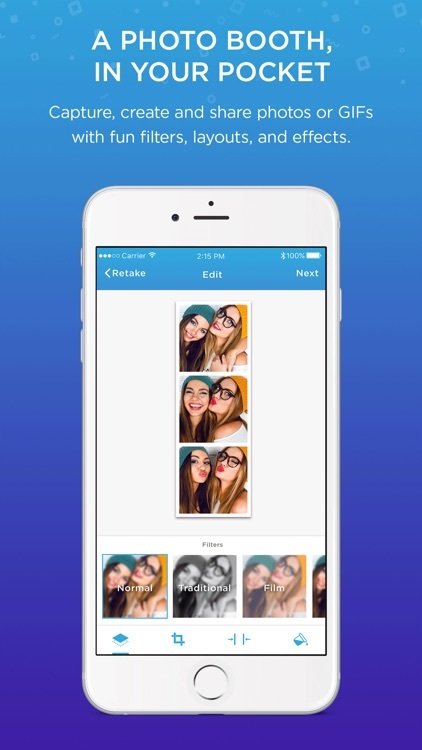 Save, share and swap with your friends through social media or YouCam Makeup! 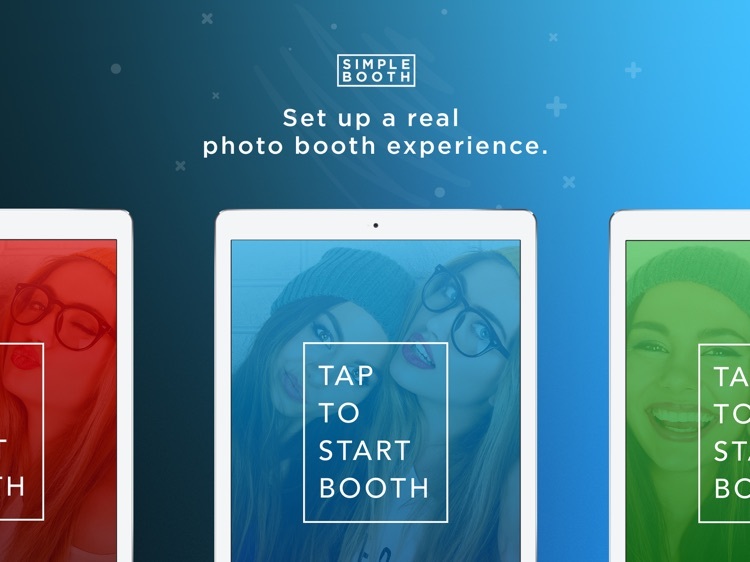 The free Simple Booth app for iPhone is an exciting new way to capture and share the fun of a photo booth-right from your phone. 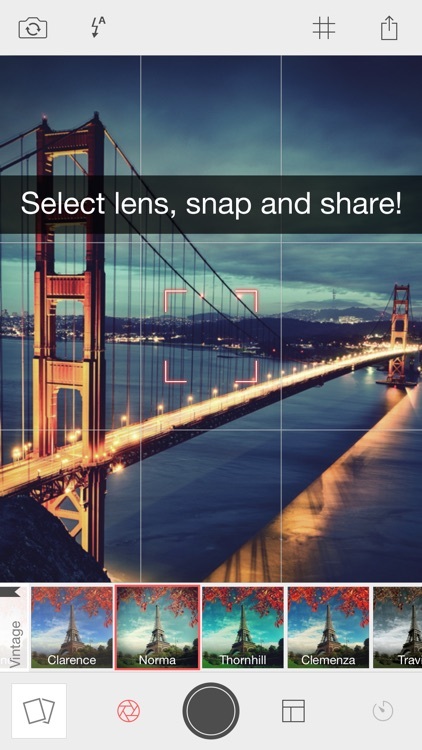 Take stunning photos or GIFs. 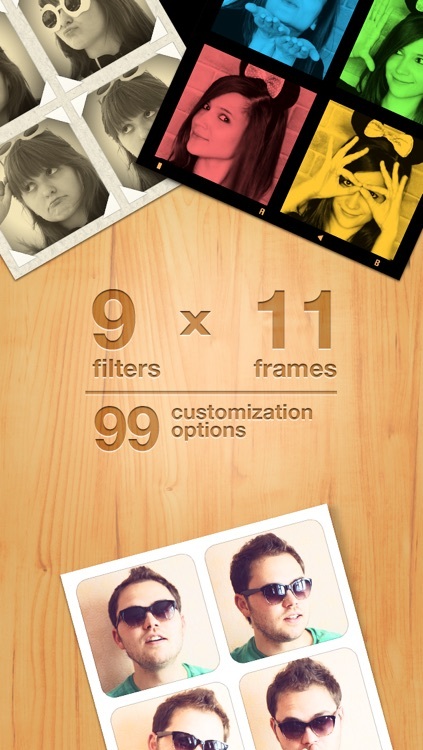 Create unique layouts or photo strips, choose your favorite filter and effortlessly share your photos. The best part? 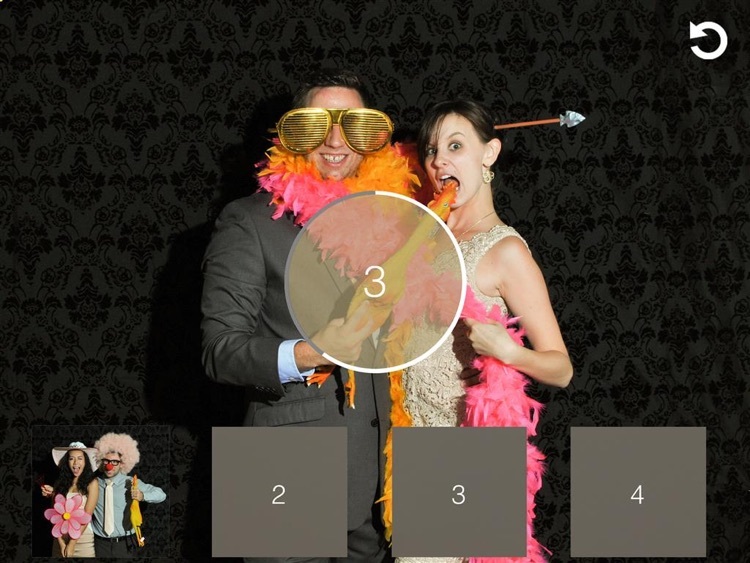 Searching for the perfect photo booth app for live events? Look no further. 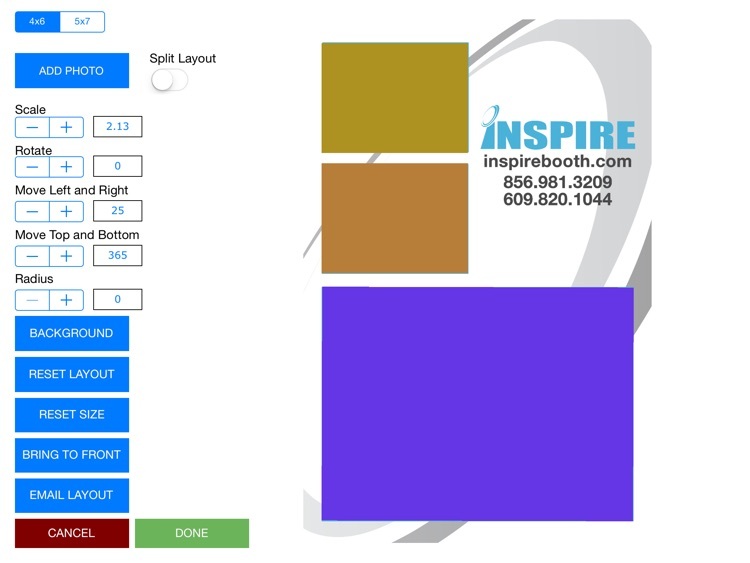 With the Simple Booth Classic app, you can quickly set up a modern DIY photo booth at your next party for just a fraction of the cost of a traditional photo booth. 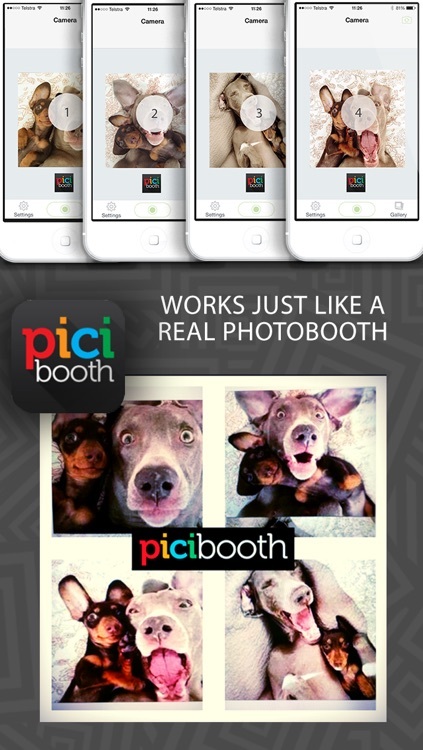 For those interested in a professional, subscription-based photo booth app for events. 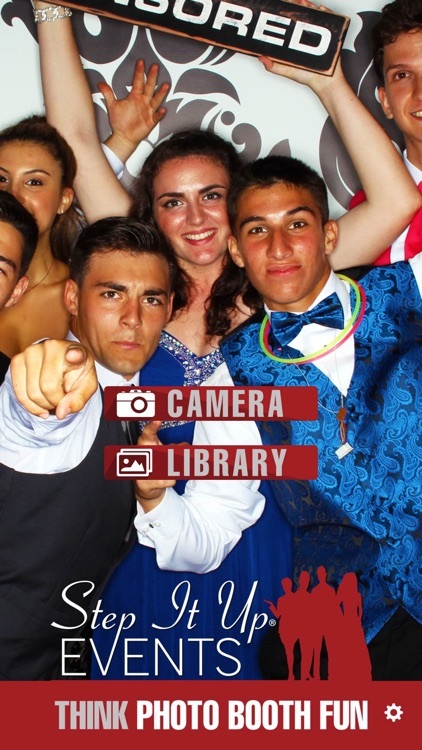 From the makers of dslrBooth, the leading professional photo booth software, LumaBooth lets you run a professional-grade photo booth for your next event on your iPad whether it be a wedding, birthday, sweet 16, or any type of party. 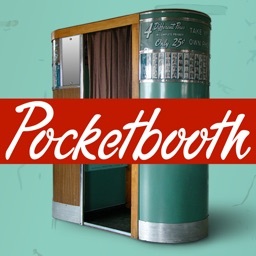 For those who want a photo booth app that produces vintage-style photo strips. 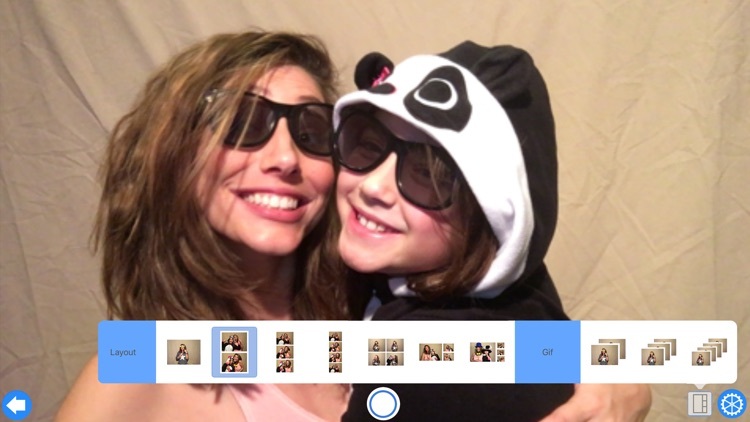 Turn your iDevice into a portable photo booth with this fun photography app. 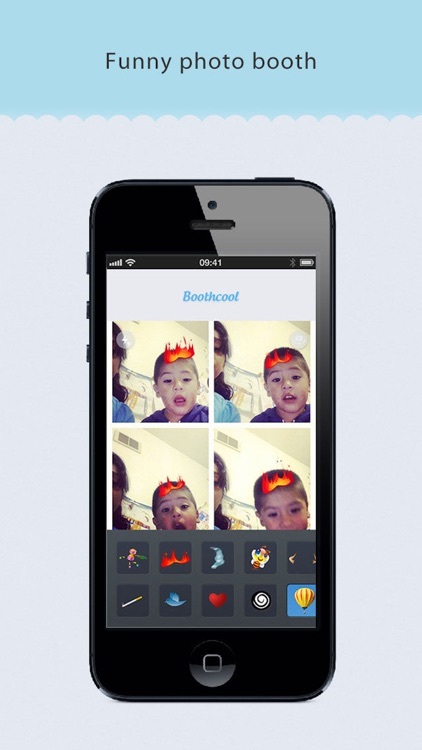 BoothCool uses facial tracking technology and it makes photo-taking funny experience. 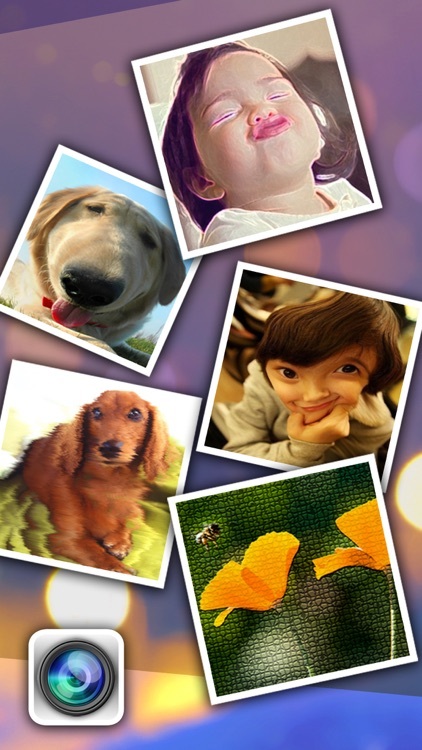 Four popular filters and eight funny face animation effects are available and a 4-up photo strip can be created as you want. 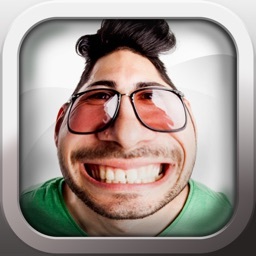 Make a pose nicely; say “cheese,” and then smile. 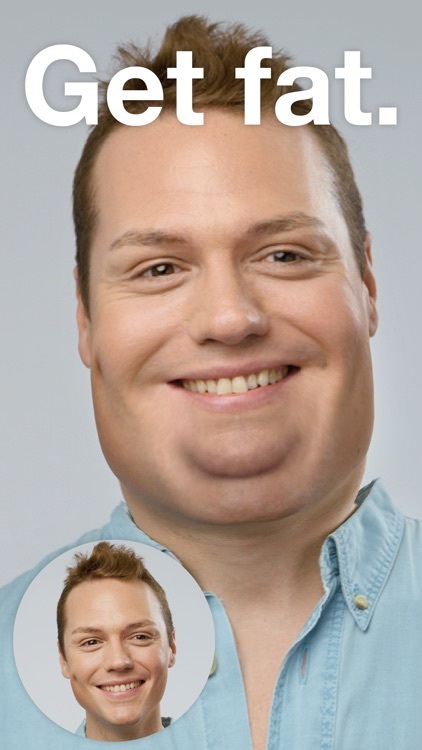 Ever wondered what your face would look like if it were fat? Really fat? 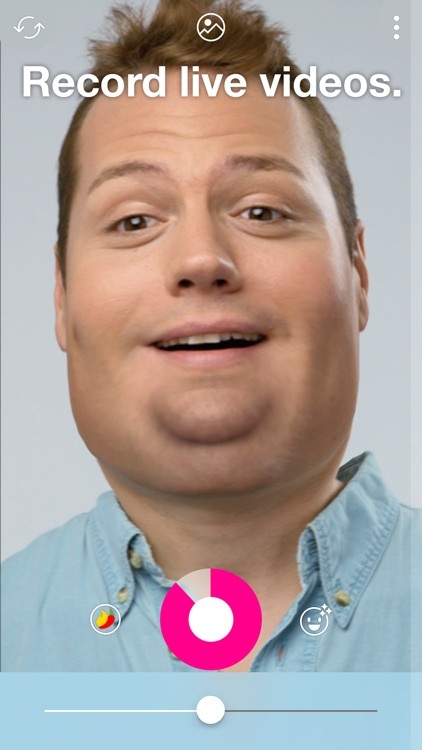 Find out with Fatify. 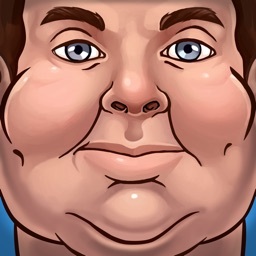 It's a mirror that makes you fatter! 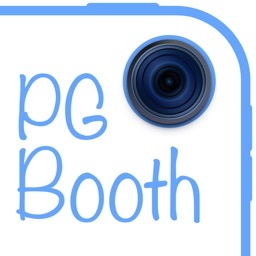 PG Booth, short for Pretty Good Booth, is a DIY photo booth app. 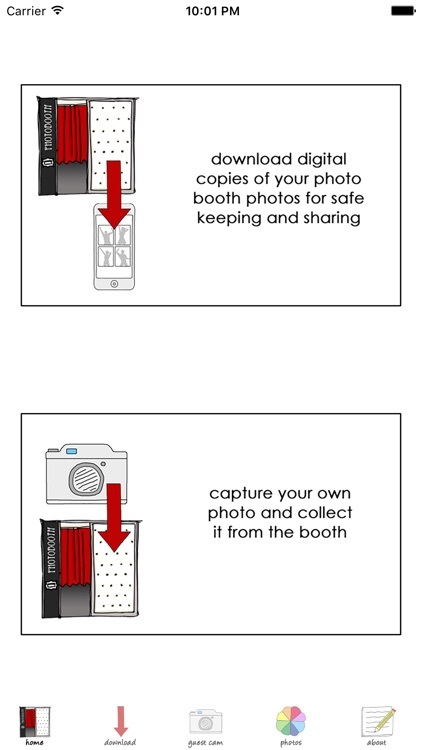 This DIY Photo Booth is loaded with options. > GET YOUR FREAK ON! 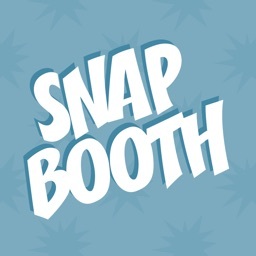 SnapBooth App acts as a free un-managed personal photo booth. 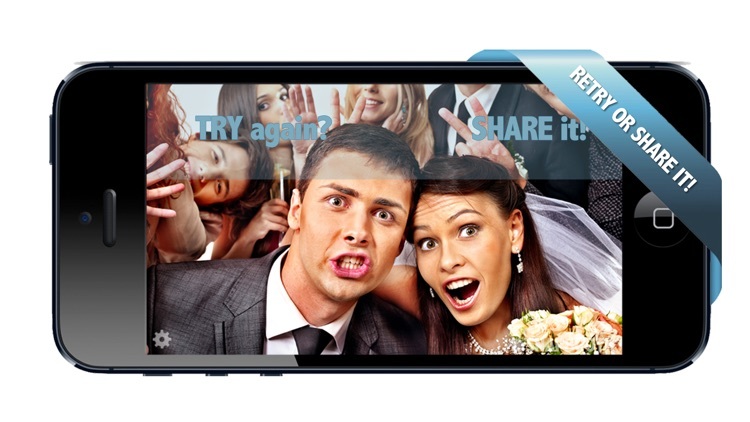 Allowing you to take epic photos and selfies at your wedding, party or event. 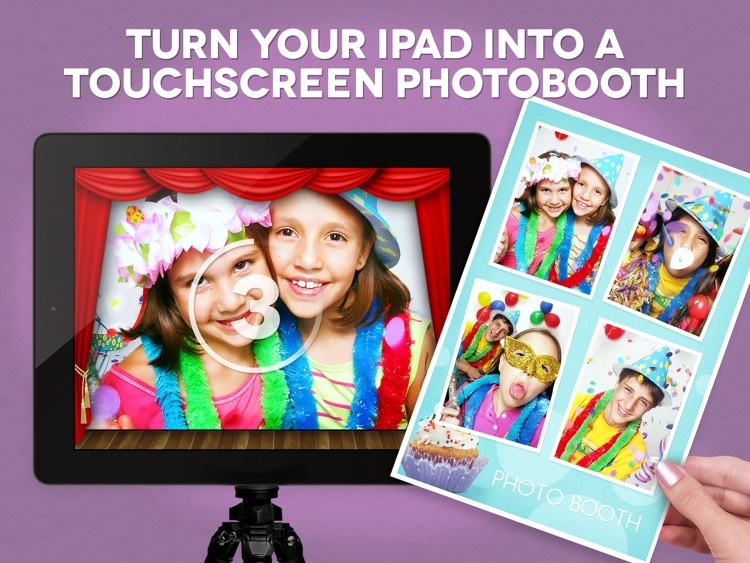 Turn your iPad into a professional live touchscreen photo booth! 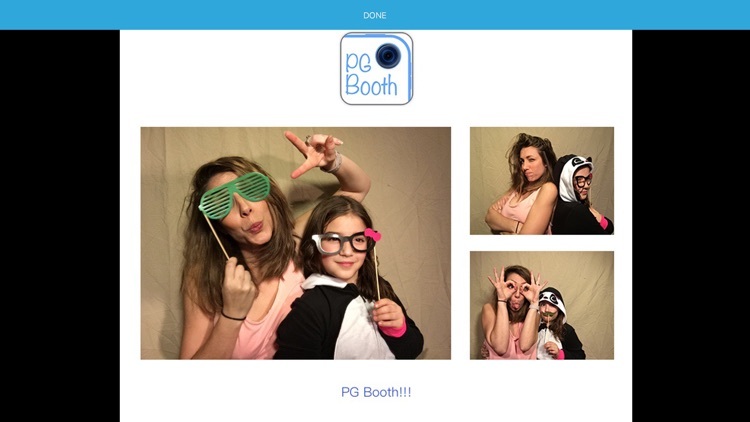 Myphotoboothapp is perfect for birthdays, parties, selfies and any other special event you might have. 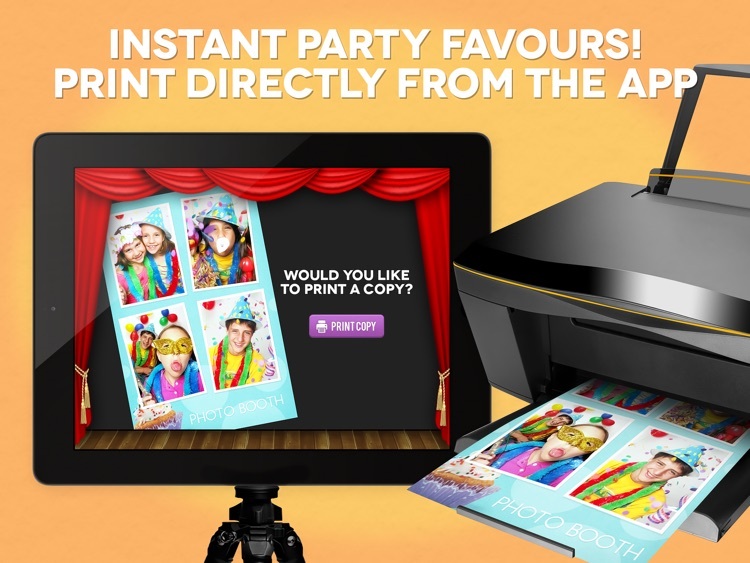 THINK Photo Booth Fun is a full-featured, personal & creative photo expanded sharing experience based off the Step It Up Events® Custom Photo Station Solutions® open photo booth platform now for your iPhone, iPad & iTouch! 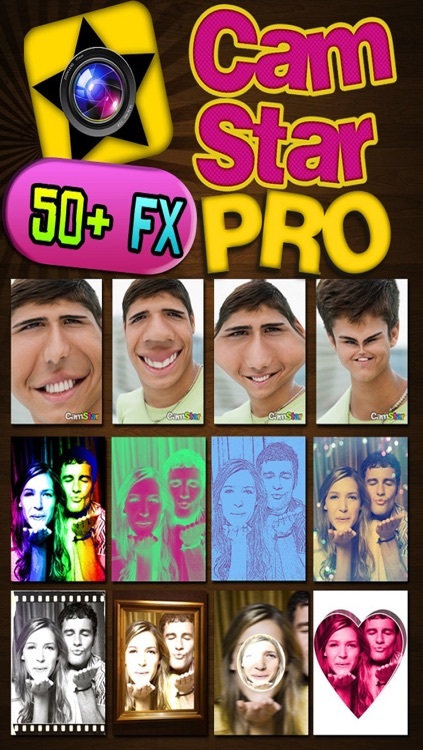 CamStar Pro is FREE for * limited time *! 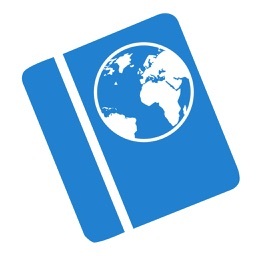 More than 3.5 Million Downloads from Free Version! A normal selfie isn’t enough to get attention today. 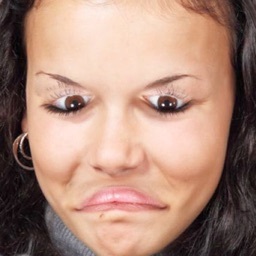 Conversely, those weird, odd and interesting photos always catch people’s eyes greatly. 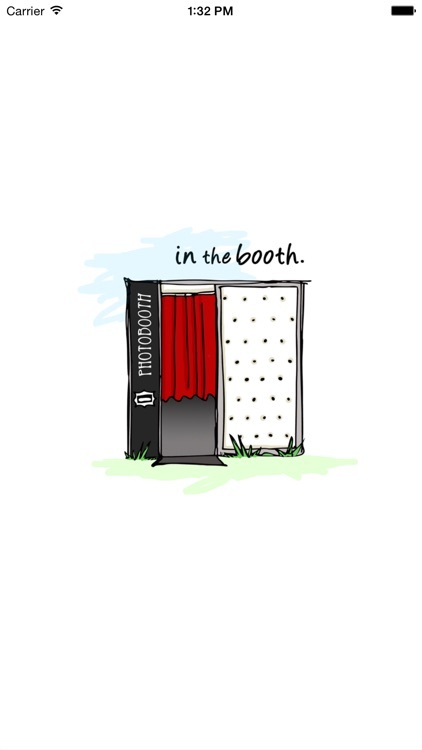 Now, here comes Photo Booth. 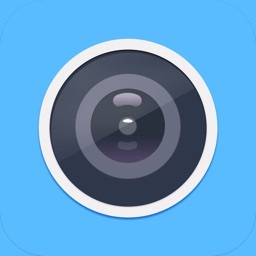 It’ll turn your device into a magical camera in one second! 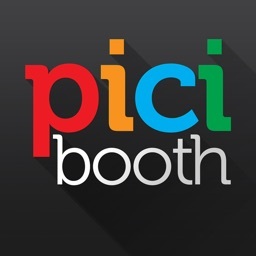 iBooth is now Insta Booth. 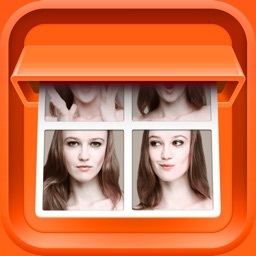 Insta Booth is not an ordinary photo booth app. 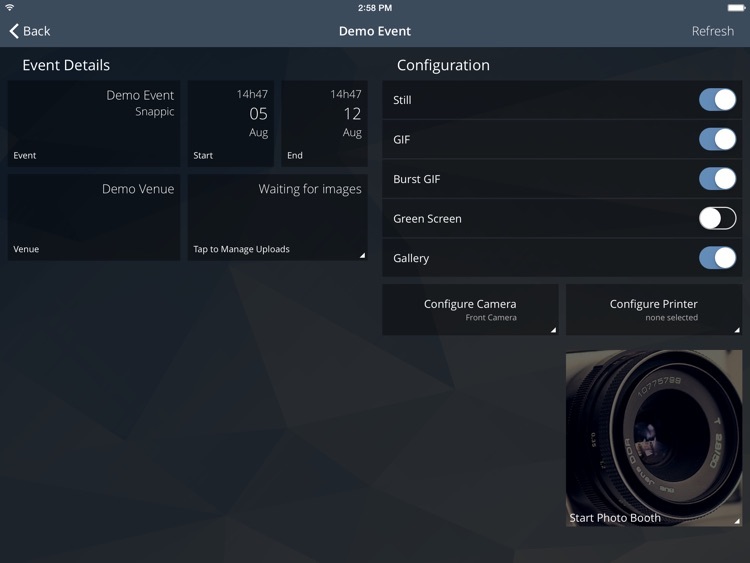 With over 130 real-time filters and 100 frames and photo strips at your command, taking photos and combining them has never been so much fun! 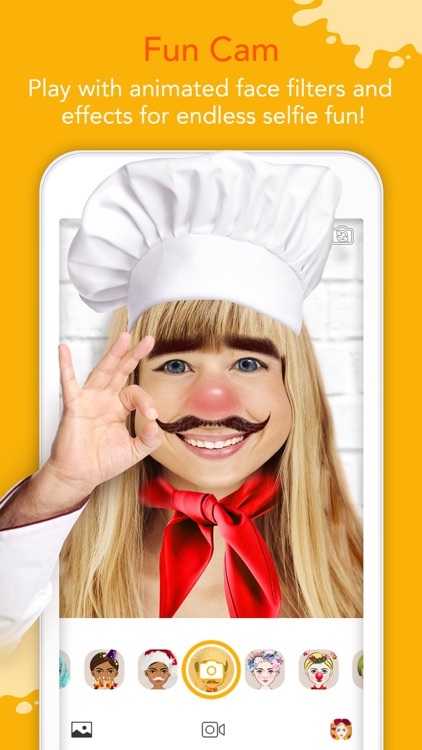 Get that killer expression and create priceless memories. 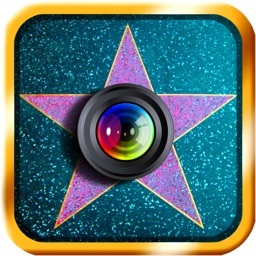 A super fun app that turns anyone into a celebrity. 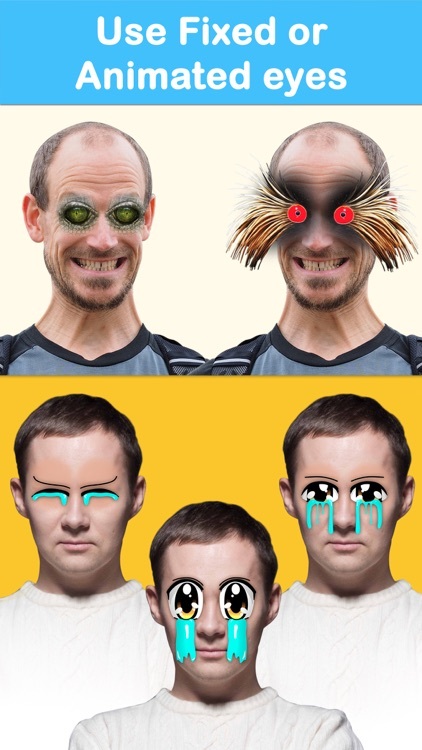 Turn an ordinary photo into an awesome Famous Face. 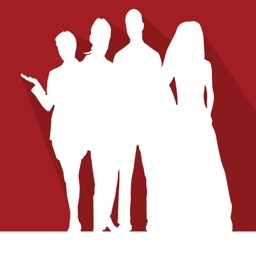 No need to go to Hollywood to see famous faces of musicians, actors, politicians, and more. 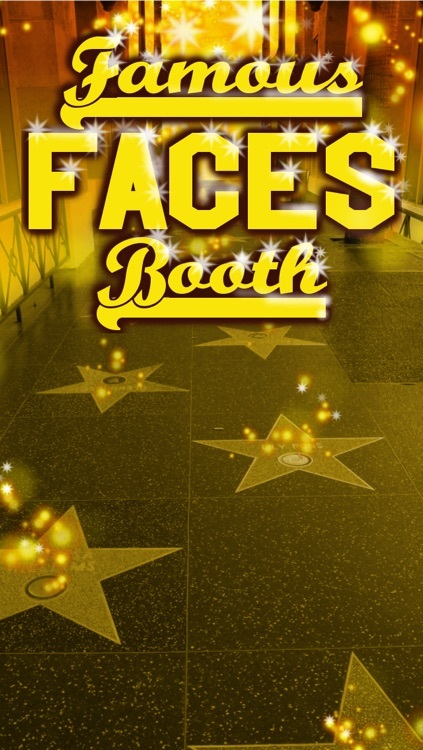 Be a famous face now! 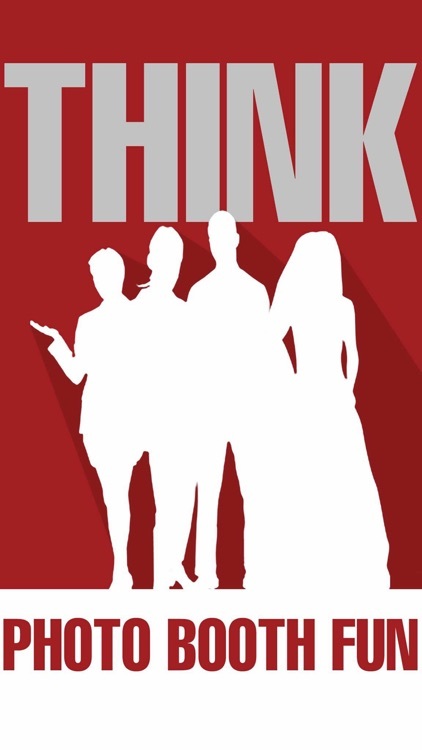 Do you want to know a few years later you or your friends look like? 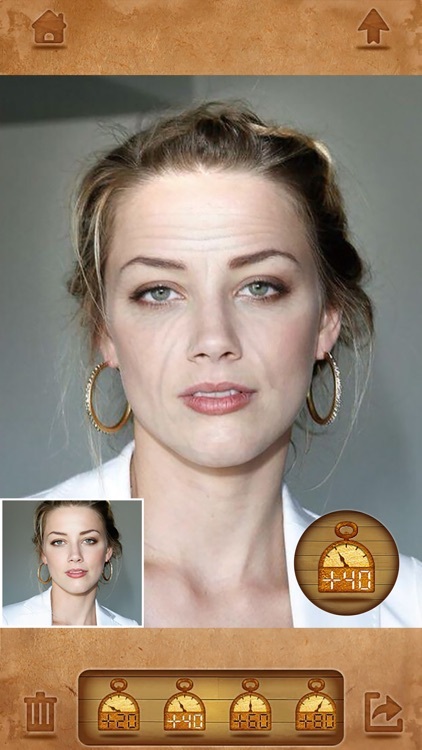 Old Booth is a funny way to instantly age face photos after 20,40,60,80 years later. 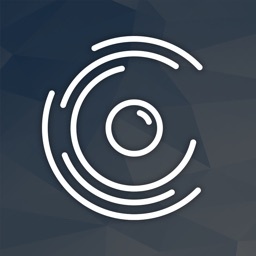 Are you ready to face the future yet? 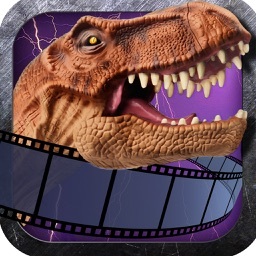 "Dinosaurs do not have to be extinct..."
Add realistic dinosaurs and filmtastic special effects to any of your photos and share the Triassic Art with your friends. 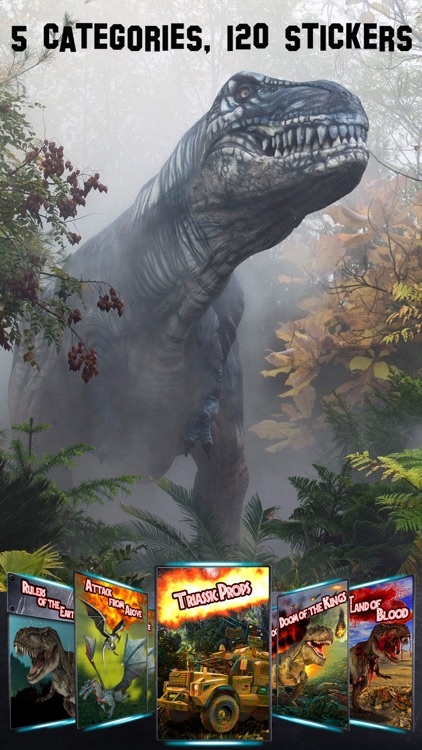 Bring the dinosaurs back to life! 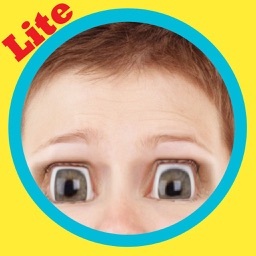 Crazy Bug Eyes Changer Booth is a fun app to change the way your eyes will look in a Video or a Photo. 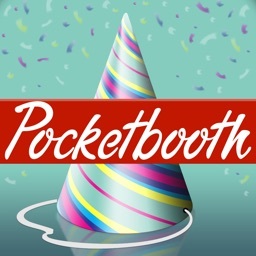 It’s Free, Download Now!!! 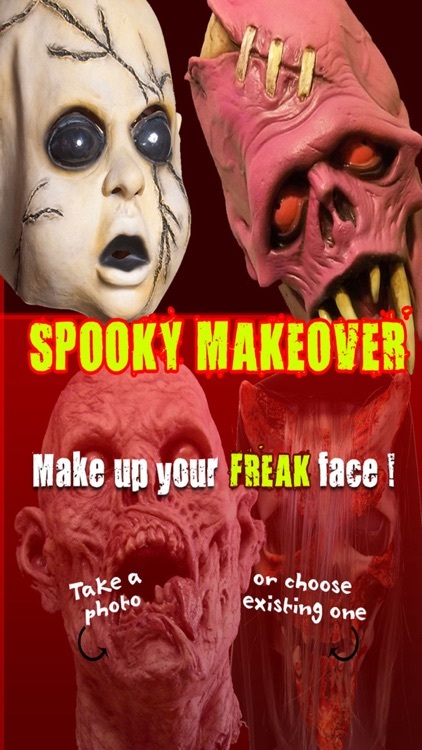 MAKE UP YOUR SPOOKY FACE! 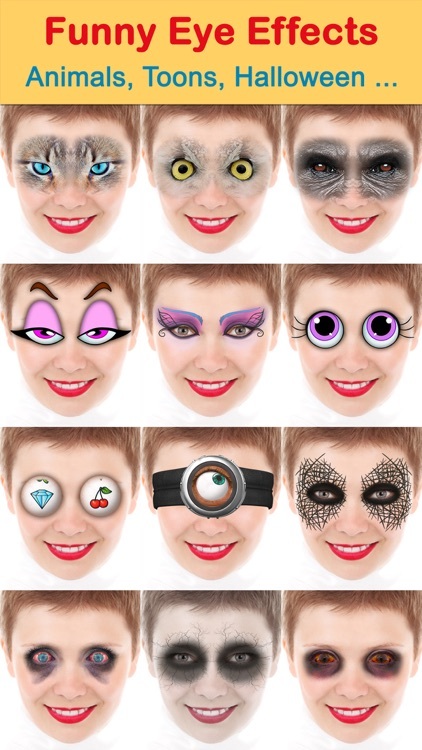 Enjoy Halloween Mask with many filter masks and share your funny Halloween Face on Twitter, Facebook or email. 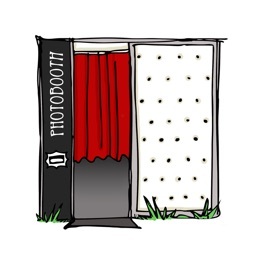 Snappic is a premium photo booth solution that caters to event professionals and corporates wanting to create meaningful social experiences for their clients. 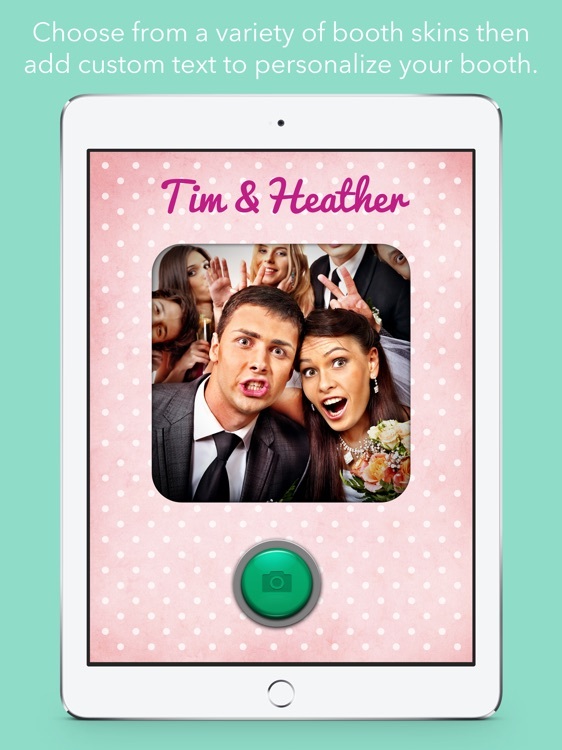 The ‘In the Booth’ Photo Booth App allows guests of an In the Booth event to download digital copies of images taken in the Photo Booth. 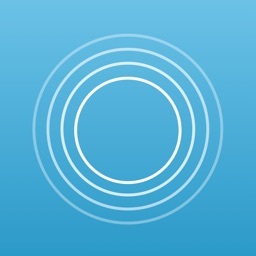 Images can be saved to the local device for sharing and safe keeping. 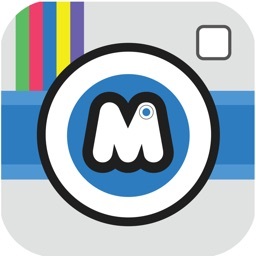 Photomat is installed and loved by 190.000 users. Thanks for your support! 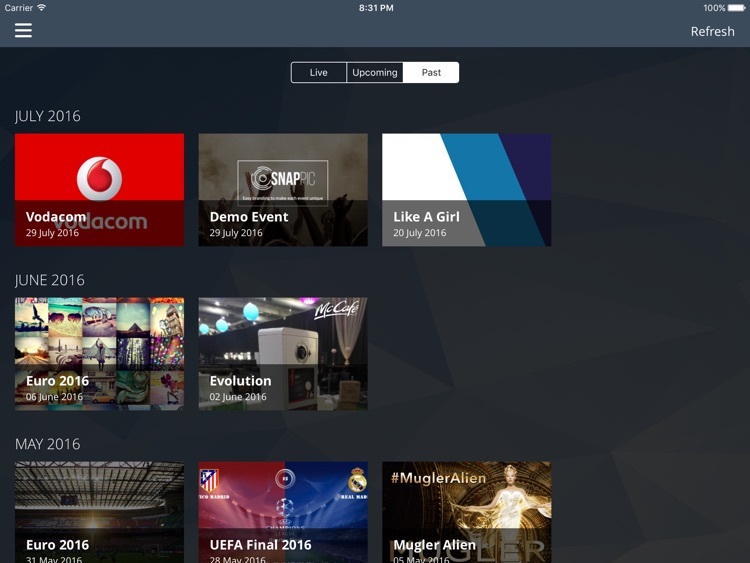 If you haven’t downloaded it yet, join us now! 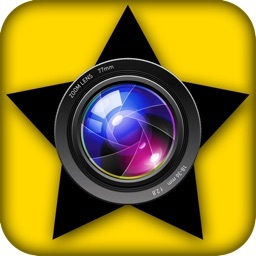 • Featured by Apple in New & Noteworthy and What's Hot. 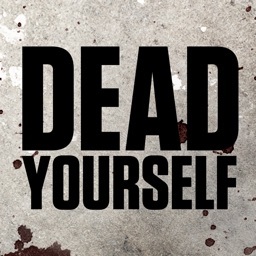 Tired of Zombies? 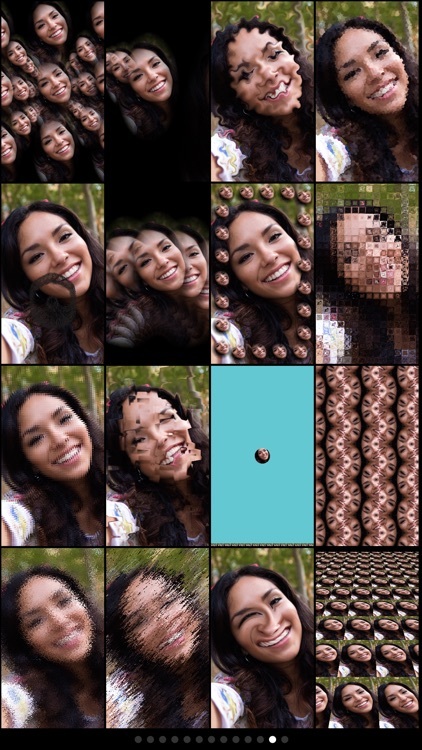 HauntedBooth transforms your face into a terrifying animated ghostly image. 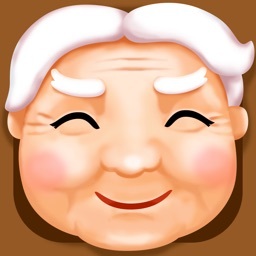 Pick and choose from a variety of facial features or shuffle for a random creation. 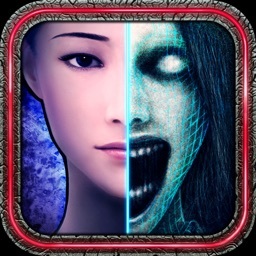 Add scary distortions and eerie noises and share your 3D images on social media. 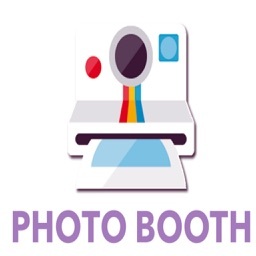 Create amazing photo booth strips for Instagram! 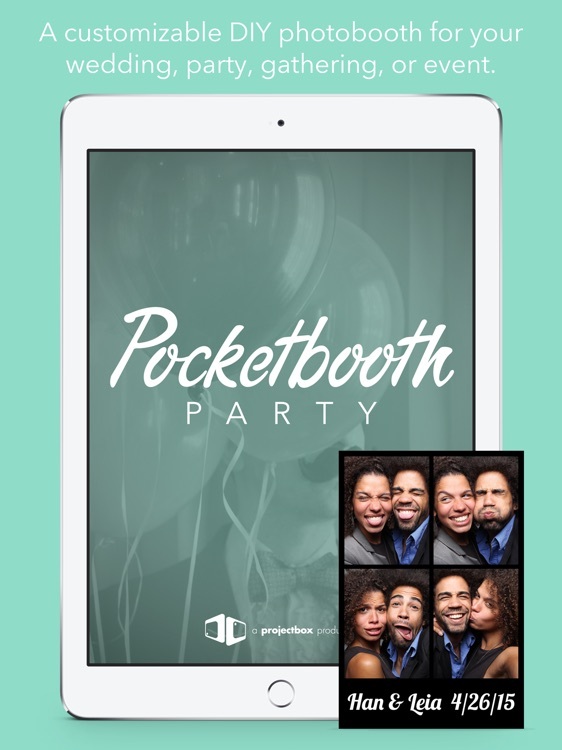 No more cramming you and 8 of your closest friends in a small stinky box at the mall, now you can create awesome photo booth photos right from your phone. 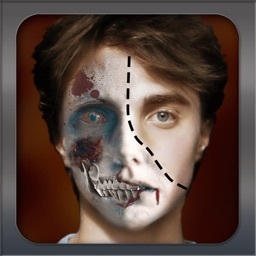 HauntedBooth, brought to you by the creators of ZombieBooth: 3D Zombifier is a fun way to transform your face into a terrifying 3D animated ghost! 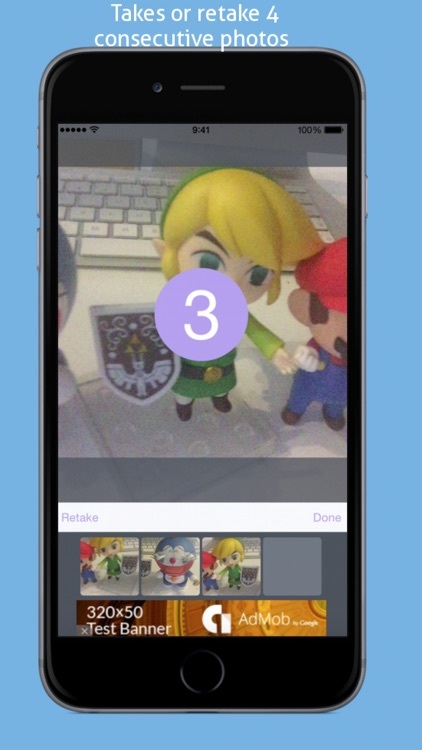 You can even record and share your ghoulish videos to spook your friends. 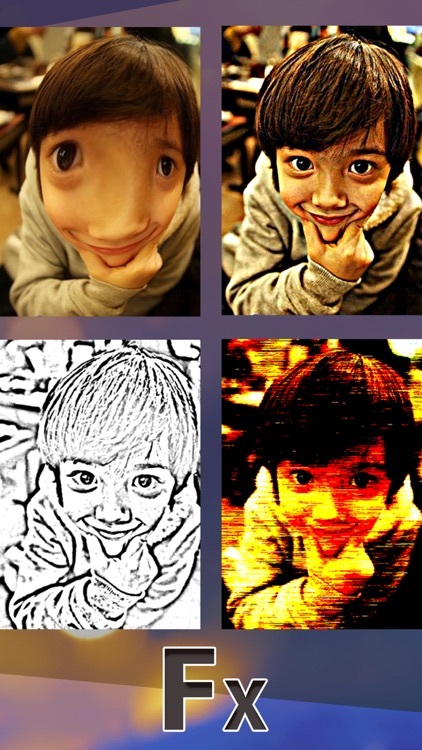 Awesome camera effect app Magic mirror booth! 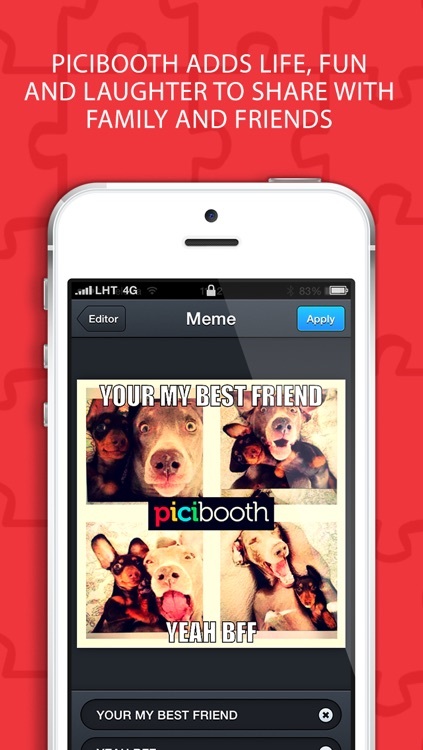 Take funny pictures and shoot videos of you and your friends in the magic mirror booth! 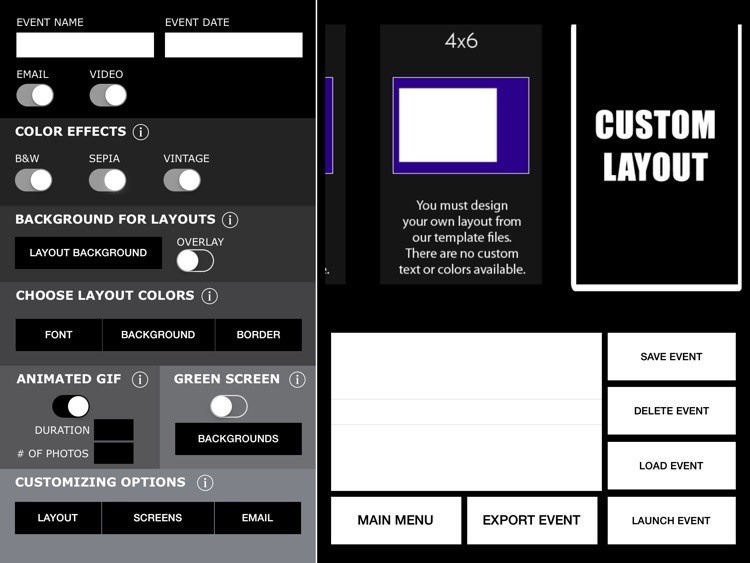 9 fully customizable effects with on screen controls. 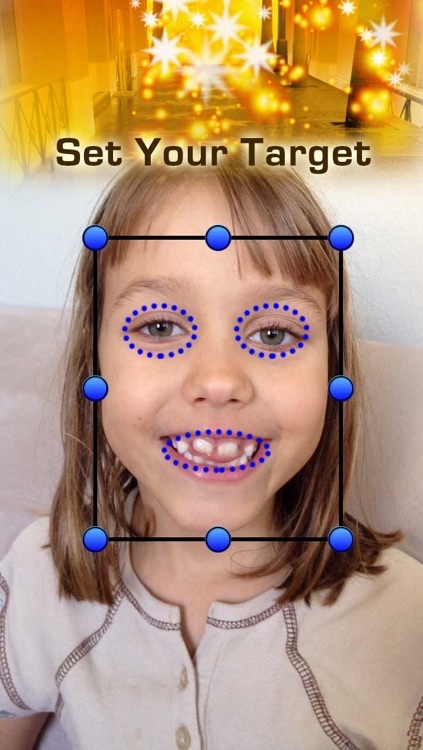 Enhance your smile, stretch your face, look like a monster, alien, monkey, dog and more! 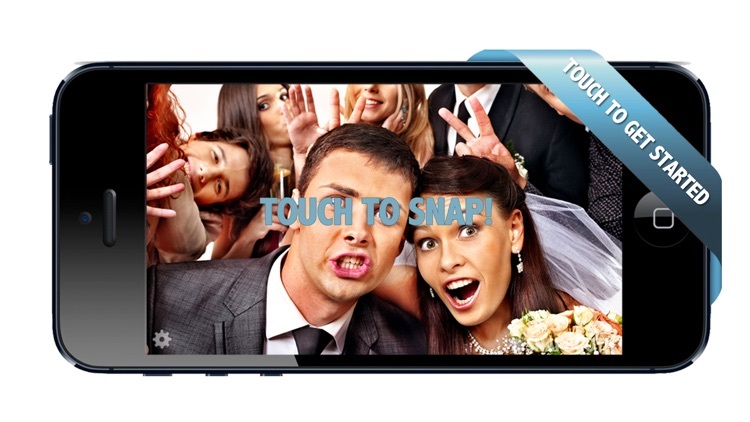 Shoot videos with altered voice for unending laughs. 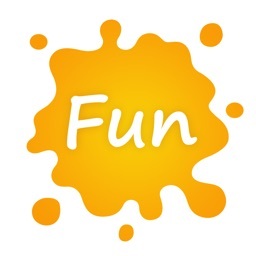 Share the fun with friends by email, twitter or Facebook. 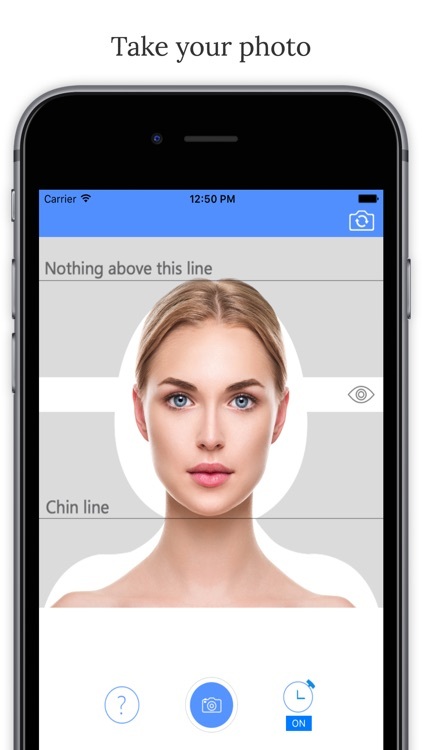 A super fun app that turns anyone into a super beautiful model. 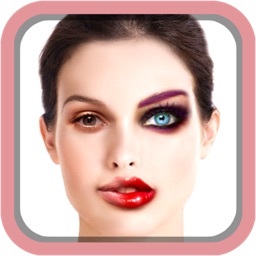 Turn an ordinary photo into an awesome Makeup Makeover Portrait. 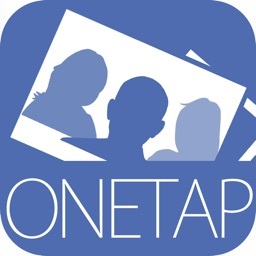 Share your creations with friends thru email, Facebook, & Twitter. 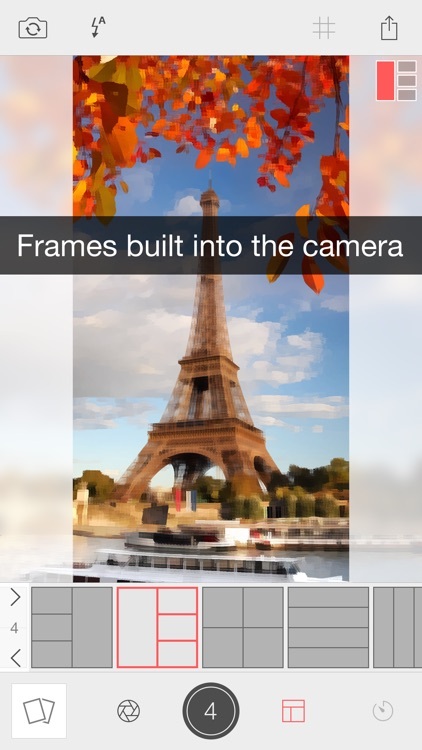 Save these photo works of art to your Camera Roll too! 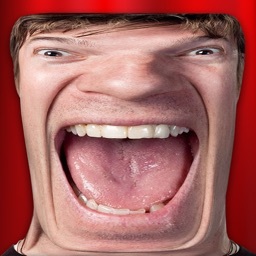 Wanna look really scary? 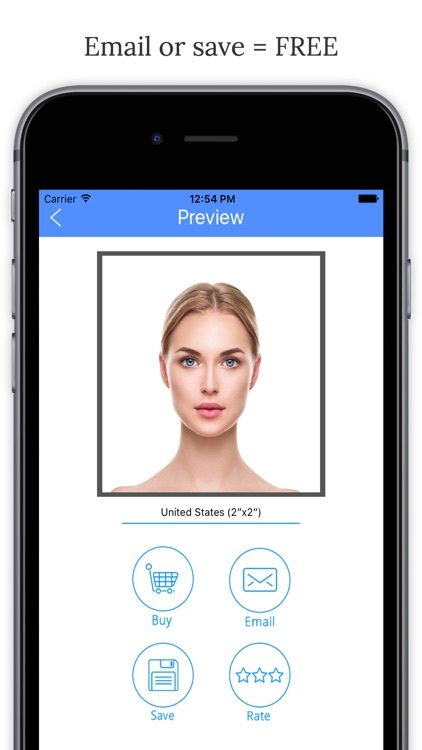 Explore the possibilities in Vampire Yourself Camera Prank, our newest picture editing software which can help you turn yourself into a vampire in an instant! 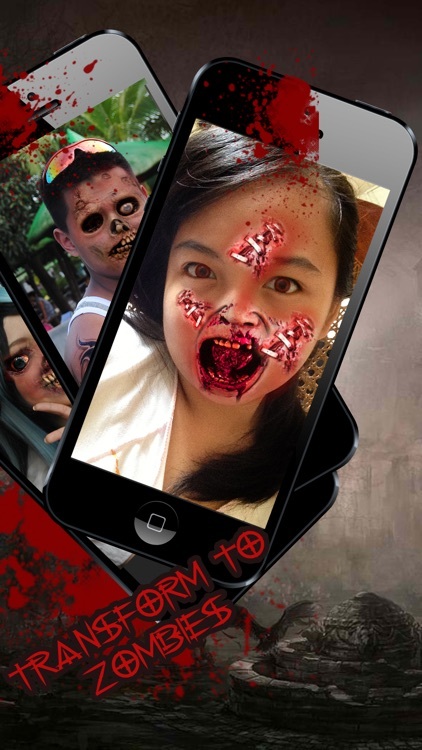 Download and see the frightening stickers for pics which you can add to your selfie and achieve a total makeover! 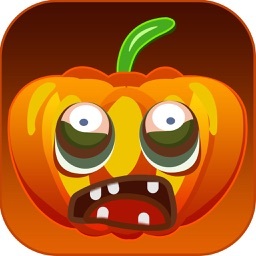 Go around and prank your friends, add vampire teeth to your face, or some other scary sticker and become the main character of the most frightful horror story! 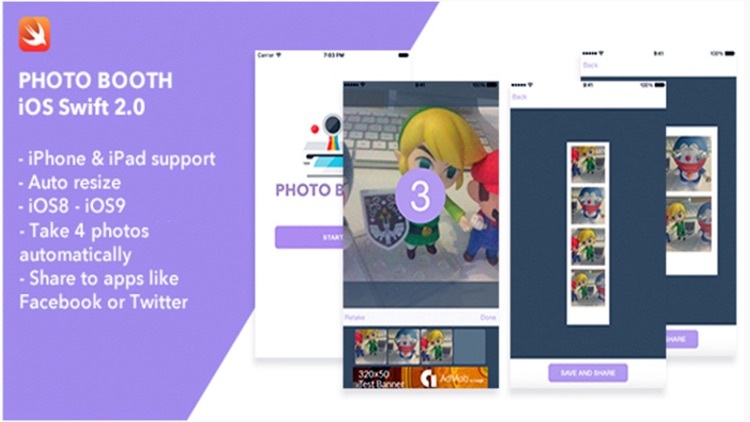 You can choose to take a picture with your selfie camera or upload an old pic of yours to this photo editor, start editing pictures, and save your piece of art or share instantly on major social networks. 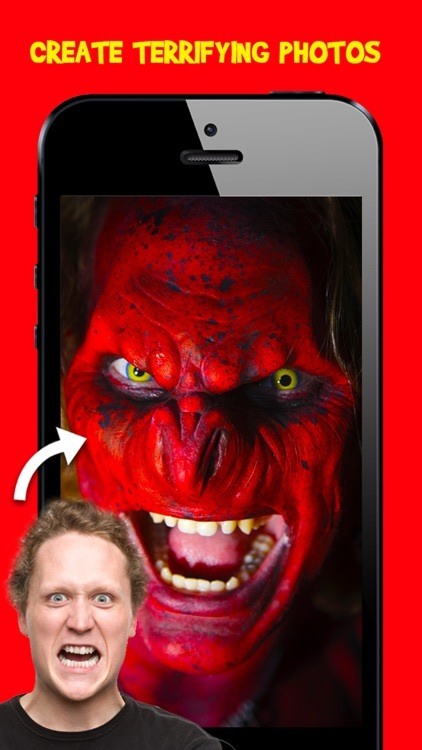 Download the scariest app of all, create most hilarious photo pranks, and boast around with your new camera app – Vampire Yourself Camera Prank! 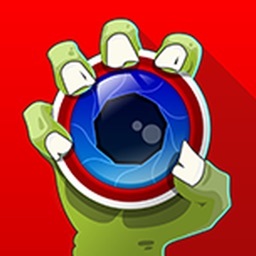 Do not hesitate, download Vampire Yourself Camera Prank and you will make your device richer for one of the top photo editing apps. 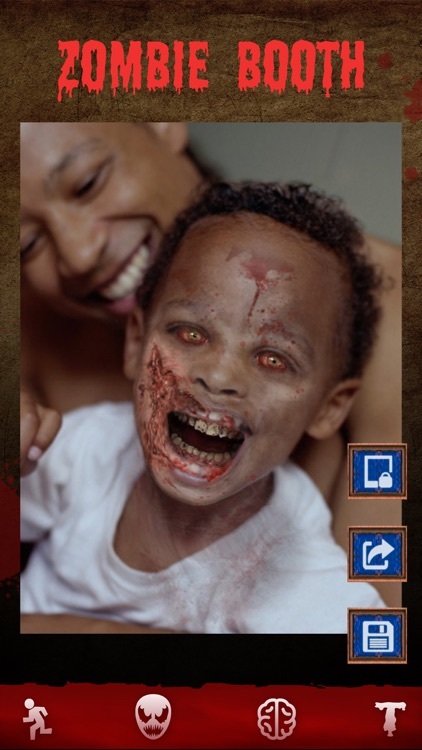 If you loved ghost camera apps or zombie stickers for pics, you will be overwhelmed with this vampire photo editor. 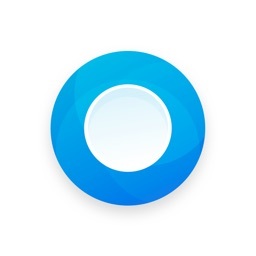 It is so efficient, yet so simple to use. 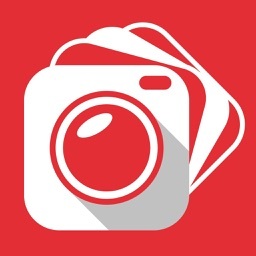 Don't wonder how to turn yourself into a vampire anymore, you don't have to use those complicated picture editing sites, all you need to do is take a perfect selfie with your camera, paste the cool stickers and – voila! 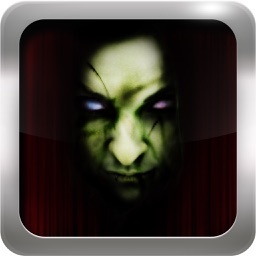 – your scary photo prank is ready to come out to the light of the day. 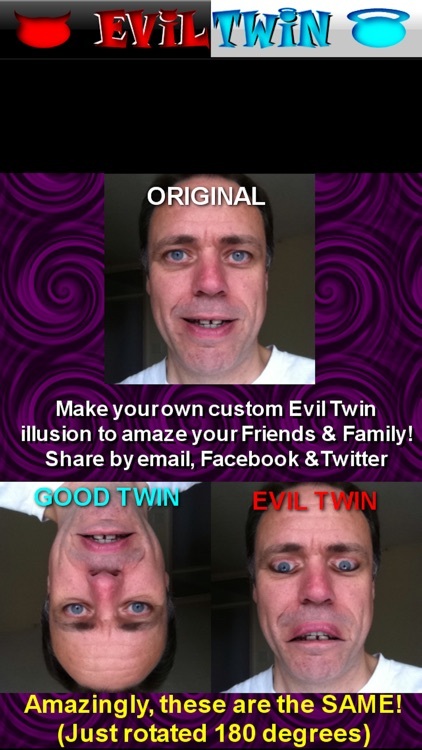 Vampire yourself easily and let everyone believe that your photo montage is real! 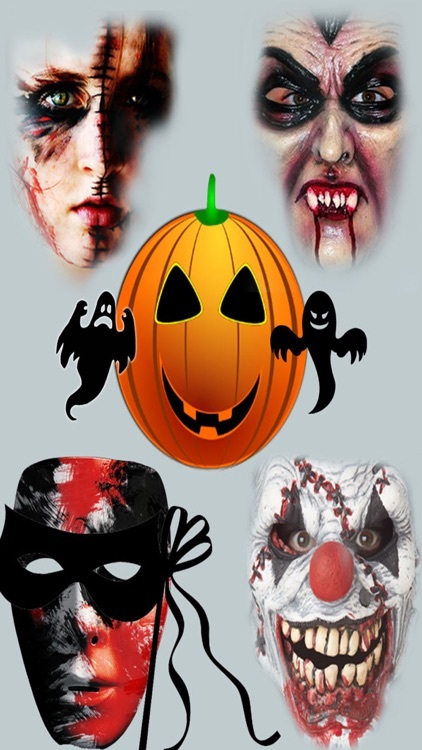 Get ready for Halloween party, download your photo booth prank and make vampire pictures with your own selfies, or make up a horror story for your pajama party supporting it with vampire photos! 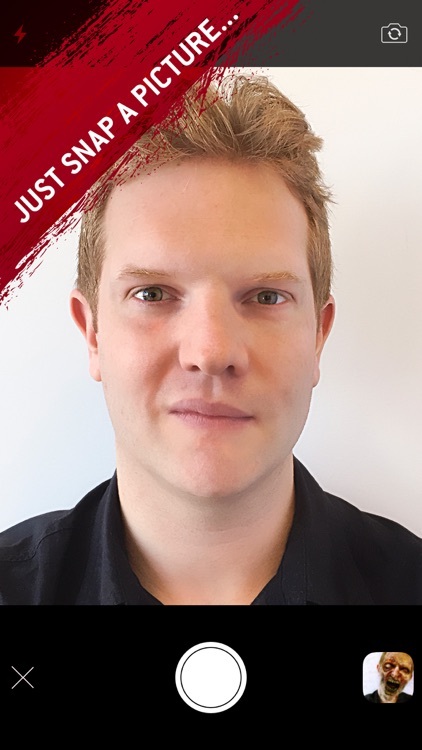 Photo editing has just got better, exploit your vampire camera effects editor for free, add a vampire sticker or two to your face, and let this picture editing software do the rest. 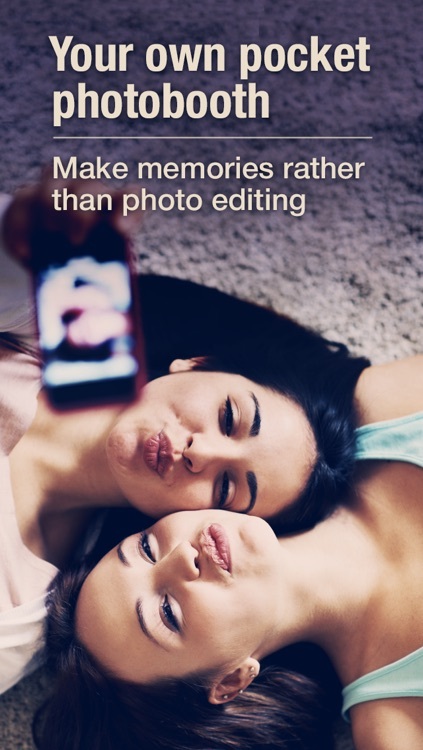 Leave text on photo editors, collage makers, various photo frames apps and other cute girly apps aside and indulge yourself in some real picture editing! 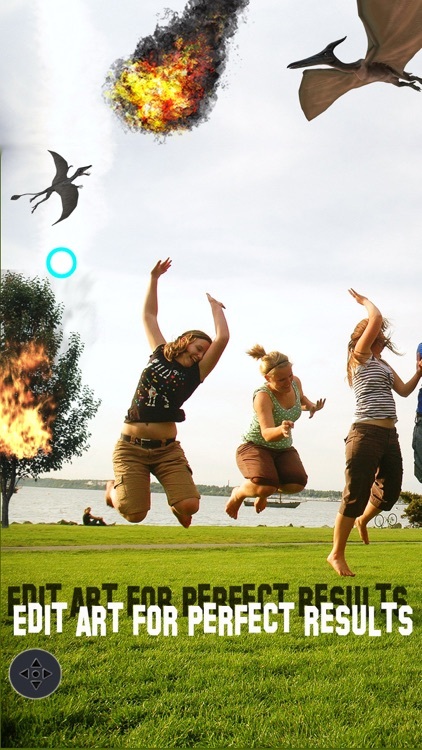 Your friends think ghost in photo prank is scary? 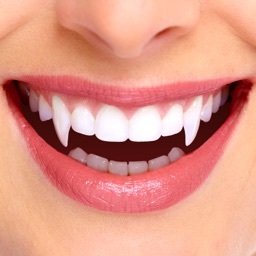 Tell them to type Vampire Yourself Camera Prank on their neon keyboard, download this pic editor, and see what real fun is! 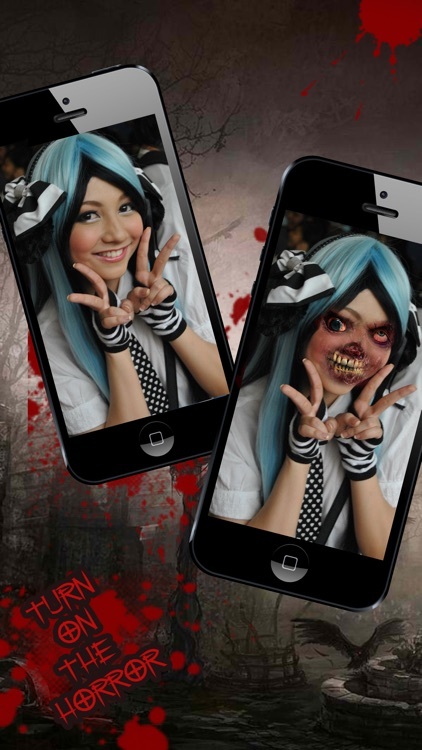 If you are crazy about vampire games and want to apply some scary camera effects on your images, you need a picture editor with photo effects which offers you a variety of vampire stickers. 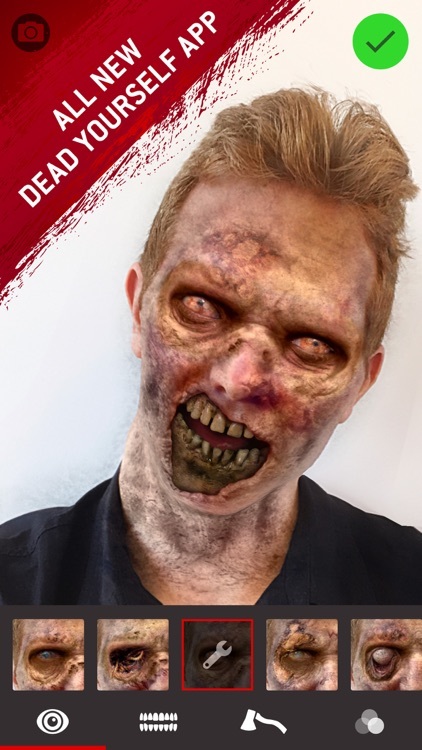 This is why this vampire camera app is made for, so grab your new photo editor software, turn yourself into a horror creature, and share your scary photos via this vampire camera. 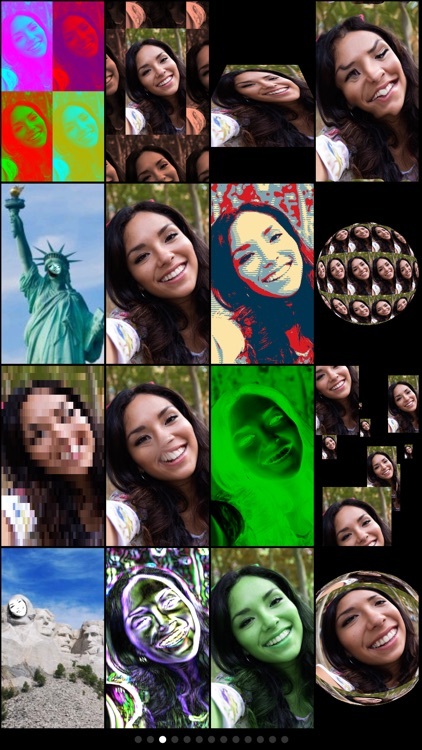 Better than a ghost camera, your pic montages with the camera effects from this photo editor will be a hit on social networks. Never saw yourself as a horrifying being? 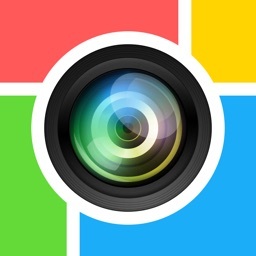 It's time to try this photo editor! 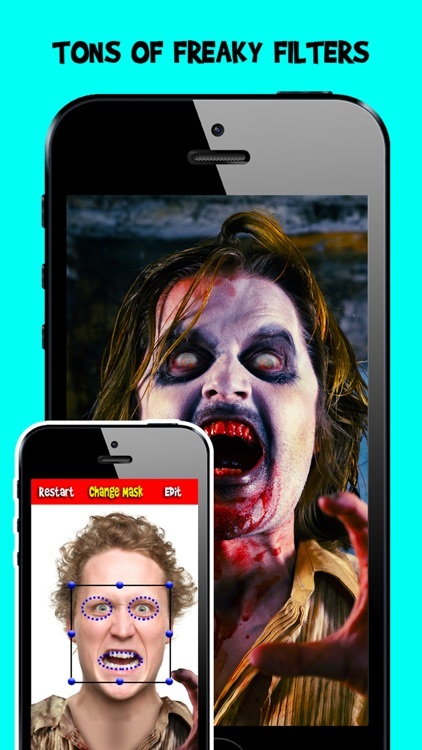 Get a bunch of free stickers, pull pranks, and have fun with Vampire Yourself Camera Prank!